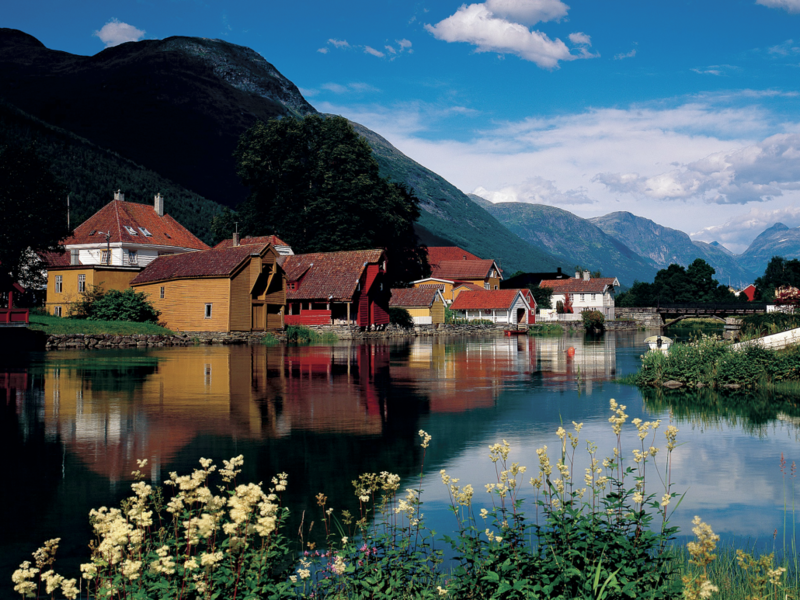 Committed to producing the purest, freshest and safest fish oil in the world. Anyone can say that they produce superior omega-3 fish oil. Not everyone can prove it. The only objective proof of fish oil purity is third-party analysis that verifies adherence to strict standards. Many leading organisations and experts have set purity standards for natural products. Nordic Naturals meets every one. 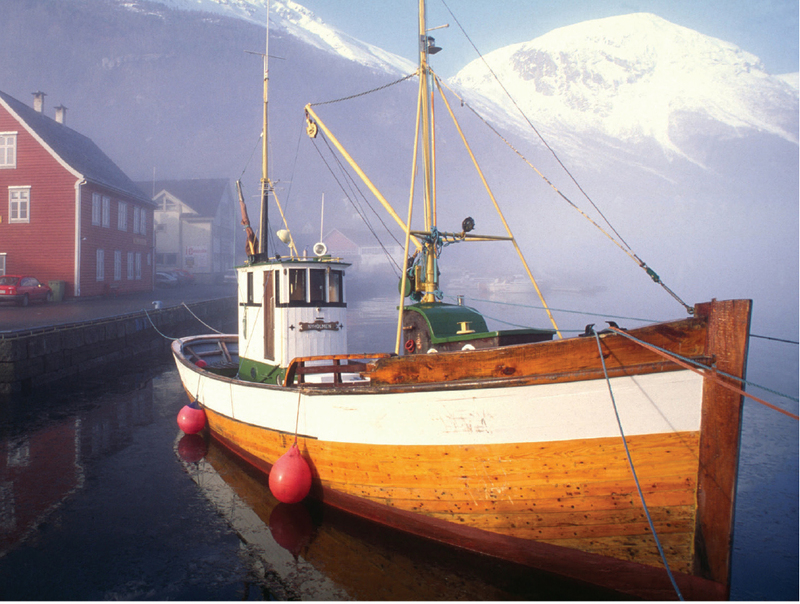 Nordic Naturals Manage Every Step of the Process – From Boat to Bottle to You! 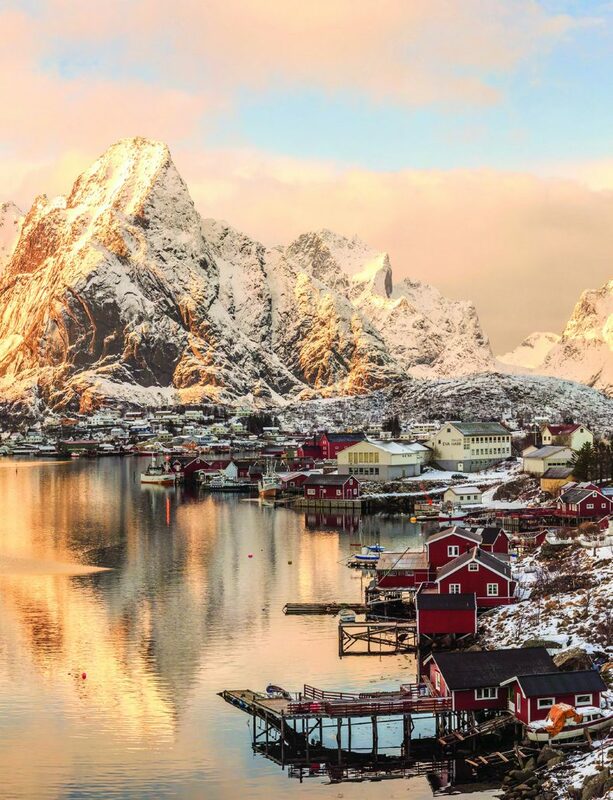 Discover why Nordic Naturals is the #1 fish oil in the U.S.
Go Behind-the-Scenes of the Nordic Naturals Journey – experience Arctic Norway’s legendary cod fishery, and step inside their boat-to-bottle manufacturing. Why do we need Omega-3s? Fish oil vs. other sources of Omega-3? Essential Fatty Acids are nutritional cornerstones of human health. Two major families of fats are comprised under this designation, omegas 3 and 6. They are deemed ‘essential’ because we need them for proper health—much like certain vitamins and minerals but cannot produce them on our own. We must therefore consume these fats through diet or supplementation. Most people associate omega-3s with cardiovascular health, but their benefits go far beyond the heart. These promote the body’s natural anti-inflammatory response, a normal function that is behind the relief of many chronic conditions but that is too often inhibited by poor nutrition. 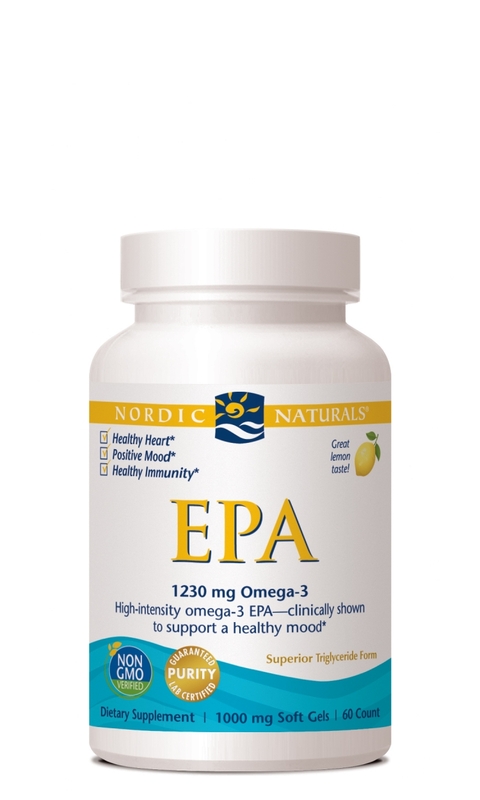 Extensive research has documented the health benefits of EPA and DHA which include not only a healthy heart, but brain and cognitive function, joint mobility, eye health, pregnancy and lactation, healthy skin and hair, and a normally functioning immune response. Despite the great health benefits of omegas, individuals around the world suffer from omega-3 deficiency. Omega-3 deficiency stems in large part from the growing unavailability of foods rich these nutrients principally fish and because of the increasing popularity of the Western diet worldwide. While most diets prior to the 20th century contained a relative balance of omega-3 and omega-6 rich foods, the typical Western diet today contains far more of the pro-inflammatory omega-6s. 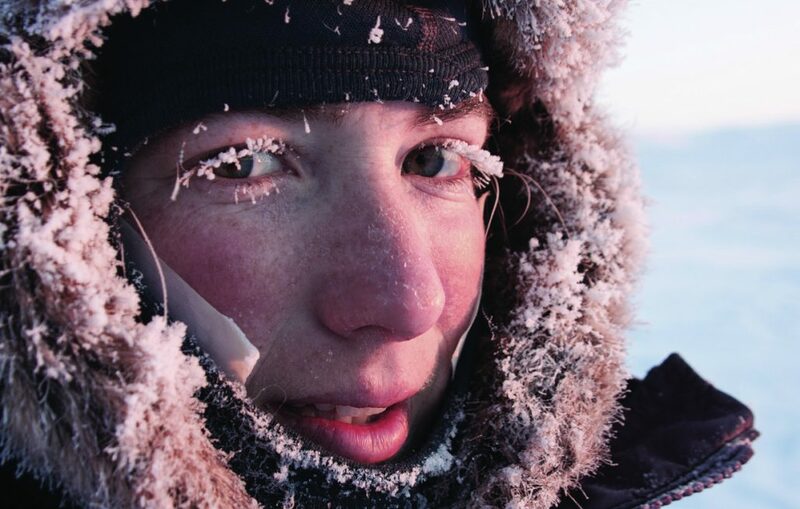 Through science and education, Nordic Naturals is committed to delivering both increased awareness and quality omega nutrition in order to address this global health concern. Look for EPA and DHA levels. Make sure you read the supplement facts to know how much EPA+DHA you are getting. A 45 minute webinar plus recorded Q&A presented by Karla Schmidt, C.N., Nordic Naturals Educator (USA). Learn what makes Nordic Naturals’ Arctic Cod Liver Oil unique, and the benefits of Arctic Cod Liver Oil for every life stage. Three Fun Courses to Choose From! 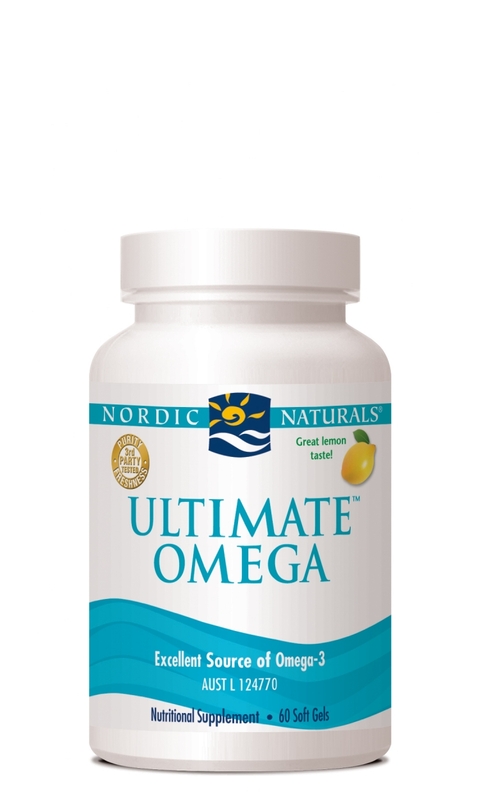 This short, online course is a 24/7 interactive learning tool for anyone interested in learning more about Nordic Naturals and Omega-3’s. Simply watch the videos and complete the questions! Plus, Thera Health account holders receive a free bonus after completing all 3 courses. Essential fatty acids (EFAs) are polyunsaturated fats that our bodies need but cannot produce. Therefore, they must be consumed through food or supplements. There are two families of EFAs: omega-3 and omega-6, which need to be consumed in a balanced ratio. The body must receive a balanced supply of omega-3 and omega-6 EFAs to ensure proper eicosanoids production. Eicosanoids are hormone-like compounds that affect virtually every system in the body—they regulate pain, help maintain proper blood pressure and cholesterol levels, and promote fluid nerve transmission. The problem is that, in our modern industrialised food system, omega-3s have become largely absent from the food chain while omega-6s have become overabundant. Even the healthiest diets contain too many omega-6s and not enough omega-3s. Decades of scientific evidence indicates that this EFA imbalance can contribute to a variety of chronic health issues. The most beneficial omega-3s that we’re missing are EPA (eicosapentaenoic acid) and DHA (docosahexaenoic acid). Purified fish oil is the best direct source of EPA and DHA. Fish is the primary food source of the omega-3s EPA and DHA, but Australians simply don’t eat enough fish on a regular basis. Even those who eat fish several times a week aren’t getting enough EPA and DHA because much of the fish consumed today is farm raised and lacks significant amounts of EPA and DHA. Also, many people are increasingly avoiding fish due to growing concerns about environmental toxins in fish (such as mercury, dioxins, PCBs, etc.). In addition, there are several factors that can lead to reduced absorption of EFAs—age, poor diet, alcohol consumption, low levels of certain vitamins and minerals, some prescription drugs, compromised immune status, and a diet high in saturated and/or trans-fatty acids (meat, dairy, fast food, fried food, baked goods, and processed foods). Moreover, people with health challenges or those who are currently deficient often require a minimum of 2–4 grams a day of EPA and DHA, which is difficult to obtain from fish alone. What Is The Relevance Of Balancing The Omega-6:Omega-3 Ratio? Over the past 100 years, changes in the food supply in Western nations have altered the type of dietary fatty acids we consume, leading to a dramatic increase in the ratio of omega-6 to omega-3 fatty acids. This increased omega-6:omega-3 ratio is known to influence a poor nutritional state that contributes to higher incidences of many chronic diseases. To address this omega-6:omega-3 imbalance, current recommendations suggest increasing the consumption of pre-formed omega-3s EPA and DHA in fish and/or fish oils, increasing intake of ALA (an omega-3 alpha-linolenic acid found in vegetables, flax, fruits) and decreasing intake of LA (the omega-6 linoleic acid in meat, dairy, eggs, vegetable oils). If We Get Too Much Omega-6 In Our Diet, Then Why Does Nordic Naturals Offer Products That Contain An Omega-6 (E.G. Proefa, Balanced Omega)? Omega-6 fatty acids (Linoleic Acid or LA) are found mainly in corn, soybean, safflower, and sunflower oils and, although essential, these fatty acids are over consumed and out of balance with omega-3 fatty acids in the modern Western food supply. However, there is one type of omega-6 (Gamma Linolenic Acid, or GLA) that does require supplementation. GLA is found in few sources such as borage and evening primrose oils. Used in some Nordic Naturals formulas, GLA promotes the production of beneficial prostaglandins and supports healthy skin, brain function, mood, joint, and cardiovascular health. It is most effective when taken along with the EPA and DHA in fish oil. It is especially important for pregnant and breastfeeding women to consume DHA (one of the omega-3s in fish oil) because the developing baby is dependent on mother. 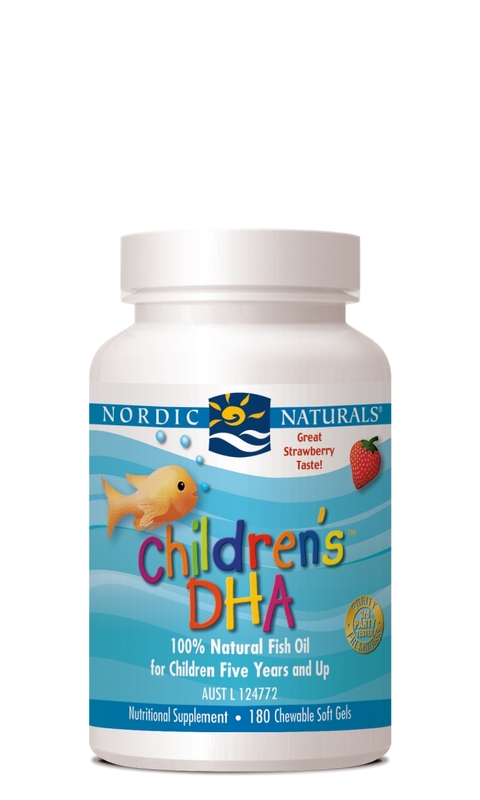 DHA is an essential fatty acid—we must get it from diet or supplements because our bodies don’t make it—and consuming enough DHA is critical for normal and healthy development of infant brain, eyes, and nervous system. Inadequate consumption of DHA during pregnancy has been linked to shortened gestational periods and premature delivery, and sub-optimal mood health for women after pregnancy. Experts recommend that women consume 300–600 mg of DHA daily while pregnant and breastfeeding. Nordic Naturals ProDHA, Prenatal DHA, and ProOmega all satisfy this dosage, each providing 450 mg DHA per serving. It will vary depending on the concentration of the fish oil, your current nutritional state, dosage, and current health. We often hear that patients “feel better” and experience “clearer thinking” and “enhanced well being” within 2 weeks. For optimal results, we recommend taking fish oil daily for at least two months to evaluate the benefits, and also reduce intake of saturated, hydrogenated, and trans-fats. What Should I Look For When Purchasing A Fish Oil Supplement To Ensure High Quality? Smell and taste. Does the fish oil smell or taste fishy? If so, the fish oil has most likely been exposed to oxygen and is becoming rancid. Rancid (oxidised) oils should be avoided, as they yield less-than-healthy effects. 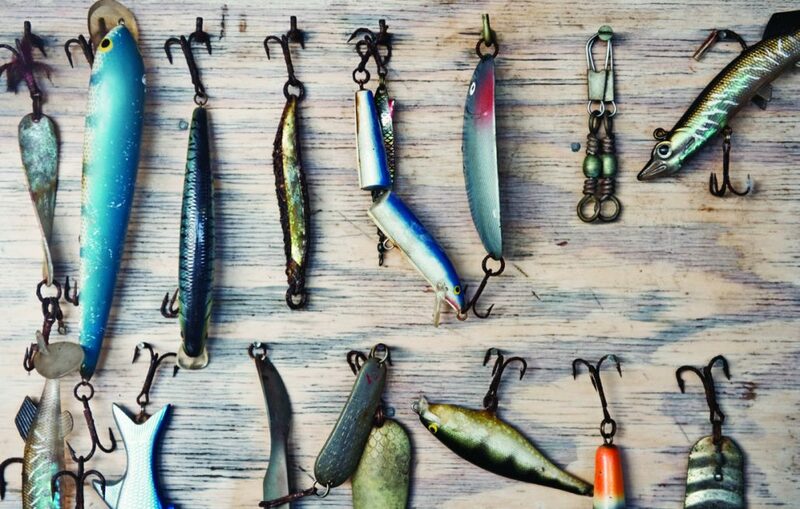 Avoid fish oils that have really strong flavourings added to them because they are most likely trying to hide the fishy flavour of rancid oil. Triglyceride molecular form. Research has shown that triglyceride form omega-3s are up to 70% better absorbed than synthetic ethyl ester omegas. Recently, some companies have started selling krill oil supplements as a source of omega-3. Krill are shrimp-like crustaceans that are a crucial link of the marine food chain, and concerns about the ecological impact of increased fishing of krill has resulted in krill fishing being banned on the West Coast of the US and strictly limited in Norway and Antarctica. In contrast, fish oil supplements are predominantly produced from sardines and anchovies-species that are currently in abundant supply, fished well below mandated limits, and are considered ideal for sustainability, given their short reproductive cycles. Fish oil is not only a more sustainable source for omega-3 supplements, however-it also generally provides a higher concentration of omega-3, is much more stable, and is backed by much more science than krill oil. To date, there are only 3 published human studies conducted with krill oil, whereas fish oil-when manufactured according to international quality standards-has a proven record of efficacy, purity, safety, and sustainability that is backed by several thousand published studies. What is the difference between fish oil and eating fish? Many people are justifiably concerned about mercury levels and other environmental toxins in fish, especially larger species. Nordic Naturals fish oils provide you with all the benefits of the omega-3s EPA and DHA, with no risk of toxicity. Our oils are routinely tested by third party laboratories for purity and freshness and deliver exceptional results. All products surpass the strictest international standards for purity and freshness. Certificates of Analysis are available upon request. Are there any side effects to taking fish oil? Generally, none, although we suggest that you consult with your physician before taking our fish oils if you are allergic to iodine, use blood thinner mediations, or anticipate surgery. Consumers typically report having more energy and greater mental clarity while taking EFAs. If you experience repeat (burping) or a bad taste, your supplement may be rancid (oxidized), or your body may not be manufacturing enough lipase, the digestive enzyme our bodies make to digest fats and oils. If you haven’t ingested fish oils for a long time, it might take a week or so for your body to adjust and make more of this enzyme to digest fats and oils. Taking fish oil with food, especially fat, can also be helpful to digestion. Does fish oil contain mercury? 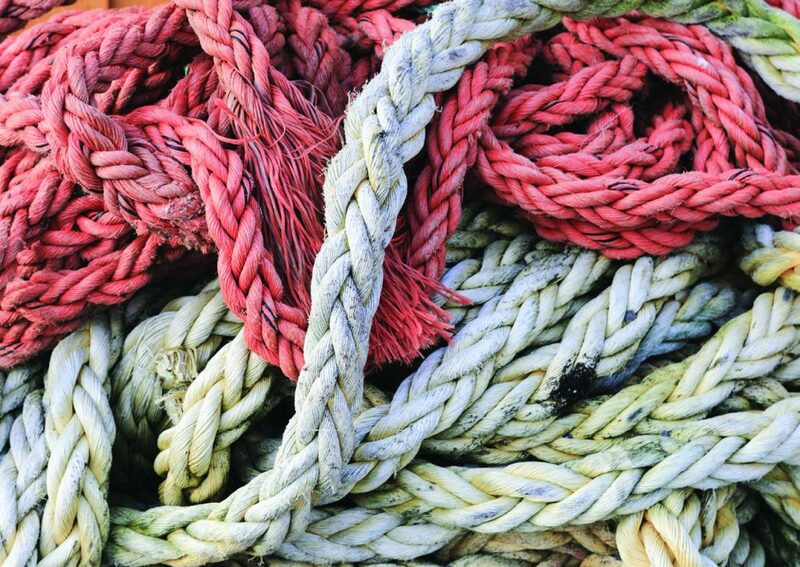 Raw fish oils contain environmental toxins like mercury that accumulate in a fish during its life span, but these toxins can be virtually eliminated with the use of high quality raw materials and advanced distillation technologies. Nordic Naturals fish oils are molecularly distilled, utilizing a patented enzymatic process that removes any potential environmental toxins (such as heavy metals, dioxins, PCBs, etc.). Third party testing documents the absence of PCBs, heavy metals, and dioxins in our oils, and Certificates of Analysis are available upon request. While Nordic Naturals’ policy is to test competing products on an ongoing basis to monitor the overall quality level of the fish oil industry, Nordic Naturals has never found a competing product to match their freshness and purity levels. Will fish or EFAs Interfere with any medical condition or any medications I am taking? 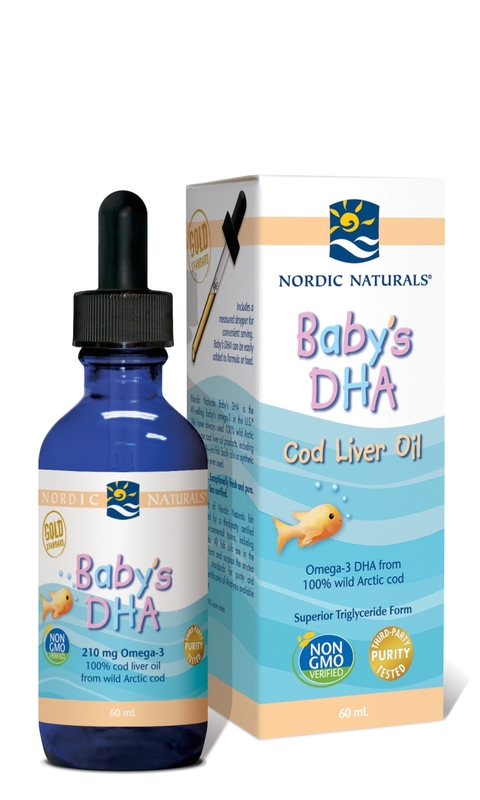 Are the vitamin A levels in Nordic Naturals Cod Liver Oil Safe? There has been some concern recently that cod liver oil has high levels of vitamin A. This concern stems from the fact that almost all cod liver oil products on the market are supplemented with added vitamin A (natural or synthetic). This is because many cod liver oil products are not made from cod livers! Many brands use fish body oil (from species such as pollock or haddock) as a less expensive source of oil, and then add vitamin A and D to mimic cod liver oil. This practice is allowed because the international production of cod liver oil is regulated by only one rule-the final product must match the specific EPA ratio (EPA to DHA) found in cod liver oil. These practices are not applicable, however, to the Nordic Naturals brand, and never have been. Nordic Naturals has always used 100% Arctic cod livers in all CLO formulas, which have consequently always had low, healthy levels of naturally occurring, fat-soluble vitamin A. No fish body oils or any synthetic additives of any kind have been added. Nordic Naturals CLO typically averages 650-1500 IU of vitamin A per serving, which falls in the low range compared to other manufacturers’ products that can contain more than 4500 IU per serving. The recommended daily allowance of vitamin A for adults (as established by the US Institute of Medicine of the National Academy of Science) is 3,000 IU for men and 2,300 IU for women. What allergens are present in Nordic Naturals fish oils? Nordic Naturals are very sensitive to allergen issues, and do the best to ensure responsible labeling in this regard. Potential allergens are always disclaimed on labels. This information can be found just below the ingredients list. Whenever possible, ingredients containing allergens are avoided, especially the eight major allergens as outlined by FALCPA (Food Allergen Labeling and Consumer Protection Act): milk, egg, fish (e.g., bass, flounder, or cod), crustacean shellfish (e.g., crab, lobster, or shrimp), tree nuts (e.g., almonds, pecans, or walnuts), wheat, peanuts, and soybeans. There is always a a disclaim on our labels if any use of equipment exposed to these allergens. Although some products may have been manufactured on shared equipment, extensive quality control procedures are in place to avoid the risk of cross contamination. Most of our products contain Vitamin E derived from highly refined soybean oil, so we include the following responsible statement on the majority of our products: “Contains Vitamin E derived from refined soybean oil.” As many soy allergy sufferers know, soy allergies result from exposure to soy proteins. Nordic Naturals ensures that our Vitamin E, verified by both a traditional analytical method and by ELISA (Enzyme-Linked Immunosorbent Assay), contains either no soy proteins or undetectable levels of protein. Because of this, we feel confident that individuals allergic to soy can safely take our products. If I am allergic to fish, fish protein, lemon, strawberry or other flavours, can I take Nordic Naturals fish oil producst? In theory, fish proteins should be effectively removed in processing. However, it is certainly possible for fish oils to have small traces of protein. The fish gelatin that is used in our fish gelatin Omega-3 formula, however, is derived from fish protein, and could be considered allergenic. If I am topically allergic to lanolin, can I take the Nordic Naturals products containing Vitamin D3? The raw material (lipid) used to produce Vitamin D3 is separated from the lanolin, which has been separated from the wool fat. There are several purification steps from raw material to the pure vitamin D3 (cholecalciferol), and, because of this, the supplier believes that a person who is allergic to lanolin topically is not likely to be allergic when ingesting Vitamin D3. Also, we need to keep in mind that healthy digestive processes-gut pH, digestive enzyme action-are intended to digest, package, and transport nutrients, adding a degree of protection as well. But we always recommended that people with allergies confer with their healthcare practitioner before beginning a supplement regime. Are Nordic Naturals products gluten-free? All Nordic Naturals products (as of July ’09) can be considered gluten-free. If any products are manufactured on shared equipment with other ingredients containing gluten, this is disclosed on the product label. Can fish oil be taken with other supplements? Yes, EFAs and fish oil can be taken with a wide variety of supplements-they are extremely well tolerated, natural, health promoting, and safe to use every day. How much Iodine is in the Ultimate Omega? What does "Pharmaceutical Grade" mean? Pharmaceutical grade/standard refers to the purity of fish oil from contaminants/toxins. 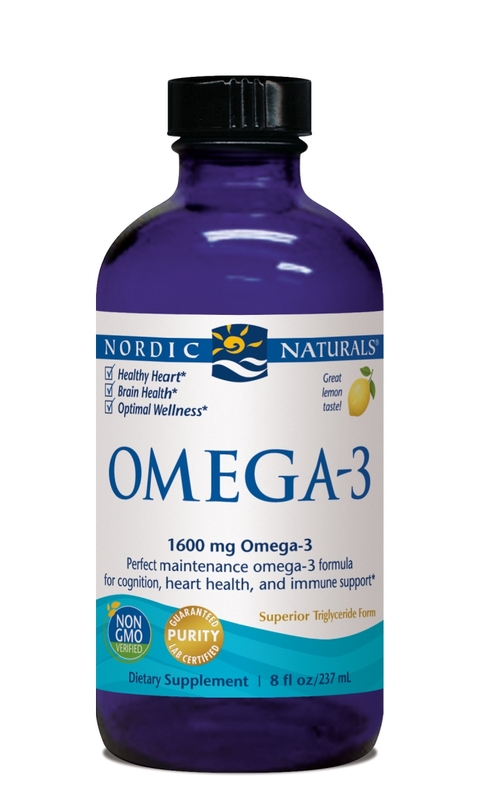 Nordic Naturals fish oils are third-party tested before and after production for contaminants such as heavy metals, PCBs, and dioxins. These results consistently document the absence of these environmental toxins in Nordic Naturals products, and Certificates of Analysis are available upon request. Only a true pharmaceutical grade/standard product will pass these standards. Nordic Naturals products test well below the U.S. pharmaceutical grade/standard TOTOX maximum of 26. 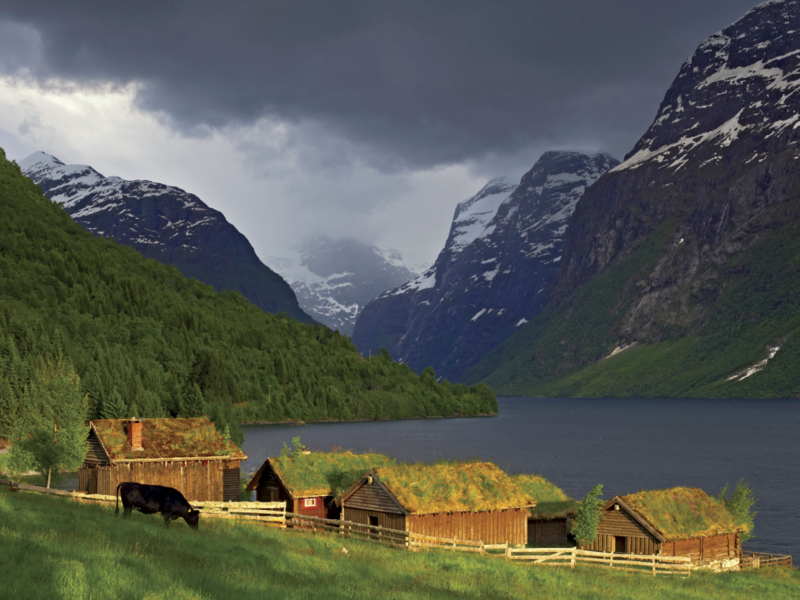 The typical range of TOTOX values for Nordic Naturals oils is between 5 and 14, because they are based on the more stringent Norwegian Medicinal Standard. Why are the calories the same even though the Omega-3 levels are different? What are the "Other omega-3s" listed on the label? 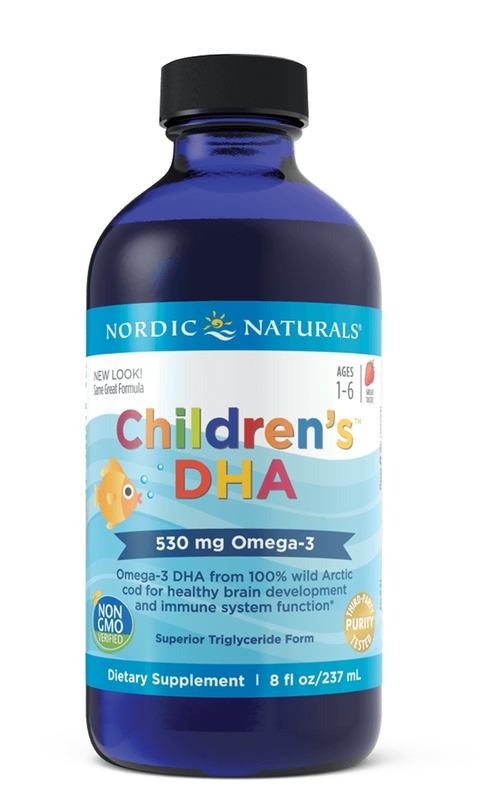 The “other omega-3s” listed on Nordic Naturals labels refer to omega-3 fatty acids (other than EPA and DHA) that naturally exist in fish oil in low levels. These “other omega-3s” include fatty acids such as DPA (docospentaenoic acid) and ETA (eicosatetraenoic acid). These fats are involved in essential fatty acid metabolic pathways in the body. EPA and DHA are the best-studied omega-3 fats, and are considered the most functional omega-3s. You find this information is on the label because Nordic Naturals tests each product to know exactly what is in the oil, and is committed to disclosing complete information to our customers. Why does it state on some labels that the product is "distilled for purity" wheras others state that they are "molecularly distilled? Is there a difference? The difference pertains to the type of distillation process used for the product, which depends upon the type/concentration of the product. The labels that state “distilled for purity” contain our non-concentrated fish oil, which is flash distilled. Our Arctic Cod Liver Oils and concentrated fish oils are molecularly distilled, and thus state “molecularly distilled” on the label. What does "Natural Triglyceride Form" mean? Will it raise my triglycerides? 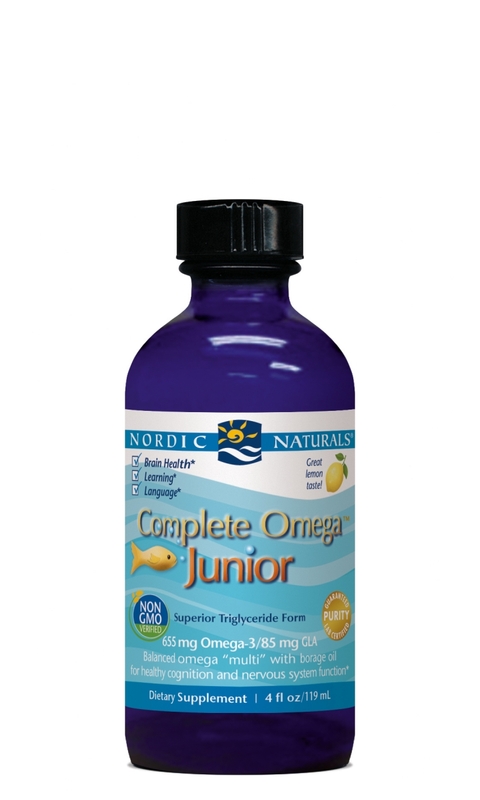 “Natural Triglyceride Form” refers to the molecular form of the fatty acids found in all Nordic Naturals products. In nature, fats are found in triglyceride form. Being a natural form, these triglycerides (as opposed to the synthetic ethyl ester form produced by many other manufacturers) are easily assimilated through the digestive process, supporting increased absorption and optimal utilization of the health-promoting omega-3s EPA and DHA. To address the concern of “raising one’s triglycerides” we are actually talking about another type of triglyceride. These triglycerides are not from dietary fats, but are produced in the liver in response to high amounts of insulin secreted into the blood stream. High insulin levels in the blood are the result of excessive carbohydrates that have not been used for energy. Why don’t the milligrams of Omega-3s listed on the back of the label match what is listed on the front of the bottle (1000 mg purified fish oil)? The 1000 mg soft gel (or in some products 500mg) refers only to the size of the soft gel and not to the amount of omega-3s that the soft gels contain. Depending on the concentration of the fish oil in the soft gels, the soft gel can contain anywhere from 28% to 84% omega-3s. For example, one 1000 mg soft gel of a non-concentrated fish oil product like Nordic Naturals Omega-3 provides approximately 345 mg omega-3s. 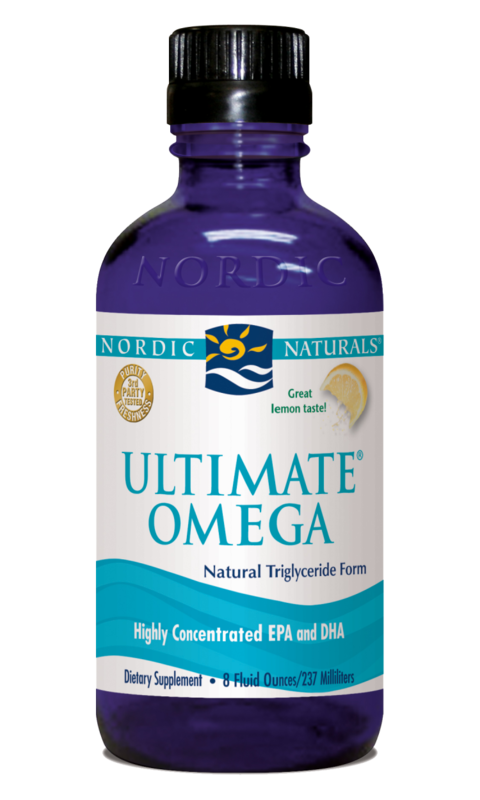 One 1000 mg soft gel of a concentrated fish oil product like Nordic Naturals Ultimate Omega provides approximately 640 mg total omega-3s.